Curiosity is something that is a beneficial trait for a good cabinet maker. 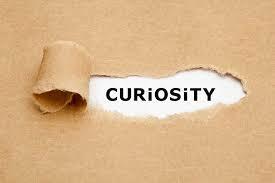 Curiosity goes hand and hand with asking questions. Which that is a good indicator that the cabinet maker has curiosity is if he's asking questions. There are some things that you just don't know to say to a cabinet maker because you aren't experienced in the field. Well the cabinet maker should know to ask these things before he leaves. If your cabinet maker has to make a bunch of extra calls back to you chances are he doesn't know what he's doing and you need to look around for another wood worker. Another part of a cabinet maker being curious is if he is able to notice small but also important things. This can be harder to identify from a customers perspective considering you don't always know what those things are that a cabinet maker should except if your custom cabinets don't look nice. But a cabinet maker should know earlier on that the mistake was already made and be able to identify the imperfections in the custom cabinets. I was with one of my cabinet makers the other day and I realized that he noticed something in the kitchen the I didn't notice after the project was done. Not only do I admire his honesty but I absolutely love the fact that he can notice minuscule things in the custom cabinets. This gave me a lot more confidence in my cabinet maker. Somebody with the ability to create complex cabinets in an orthodox way. We have representatives standing by with plenty of curiosity ready to lead you in the right direction. With the right capability and applying yourself you can walk you customers to professional installers.